I did it, you can too! 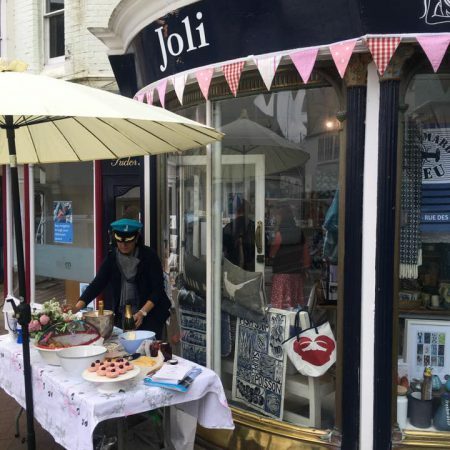 Hosted a couple of ‘Cake and Fizz’ days, cream teas with bubbles, at my shop, Joli in Cowes. My nephew was diagnosed with osteosarcoma in 2014 and underwent very intensive treatment. I wanted to do something to help him and the many other young people suffering from this disease. The Trust is a highly respected and local charity and this seemed a good way to support. Ben also enjoyed a fantastic Trust trip in 2016. Very satisfying. I loved it. Be imaginative and creative and enthusiastic, and do it - don't just think about it!